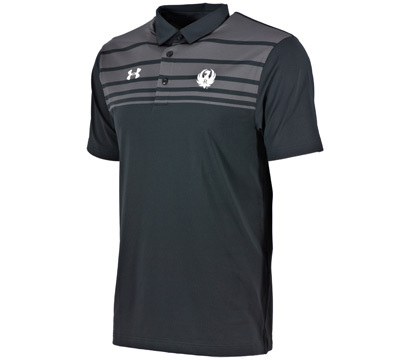 Men's UA Victor polo in black with tonal yarn-dye stripes. 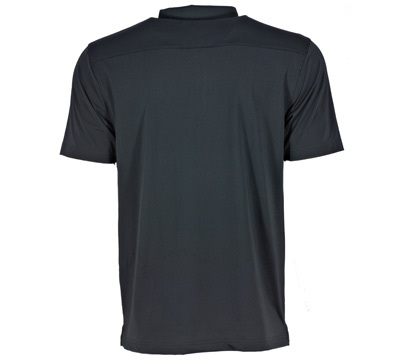 Features include a smooth anti-pick, anti-pill fabric that has a cleaner, snag-free finish; 4 way stretch fabric consisting of 88% polyester and 12% elastane that allows mobility in any direction; moisture transport system wicks sweat and is fast drying; anti-odor technology prevents the grow of odor causing microbes; 3-button placket; 30+ UPF protection. 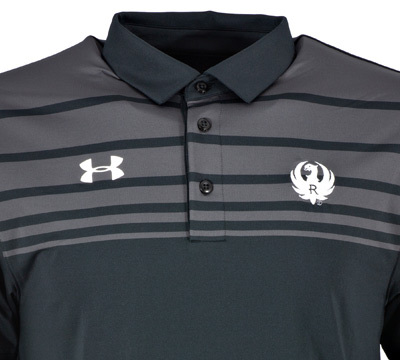 Polo embroidered with the Ruger and UA logo.